I finally caved and got the Too Faced Chocolate Bar Palette. It has been highly raved in the second half of 2014 and also 2015. This is many people's favourite basic neutral palette - taking over the Urban Decay Naked Palettes. 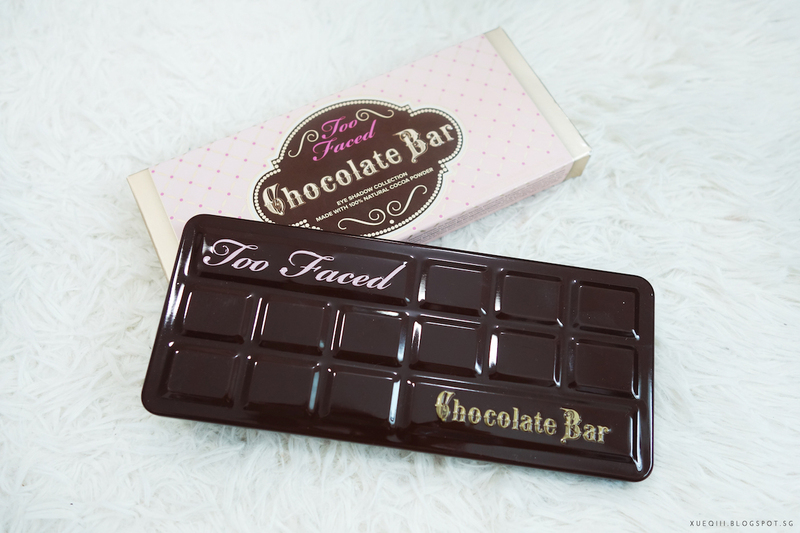 On top of the high quality shadows, this is made of 100% natural cocoa powder - meaning it smells like chocolate! 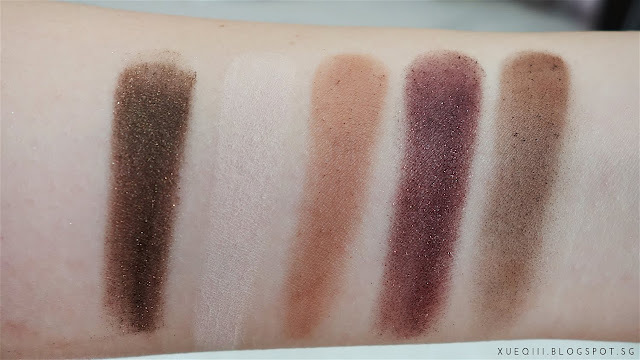 Let's move on to the review and swatches. Just keep on scrolling! I did a simple eye look with the palette. Sneak peek! Click here for the full step by step on what shades I used to create this Warm Brown and Golden eye look. 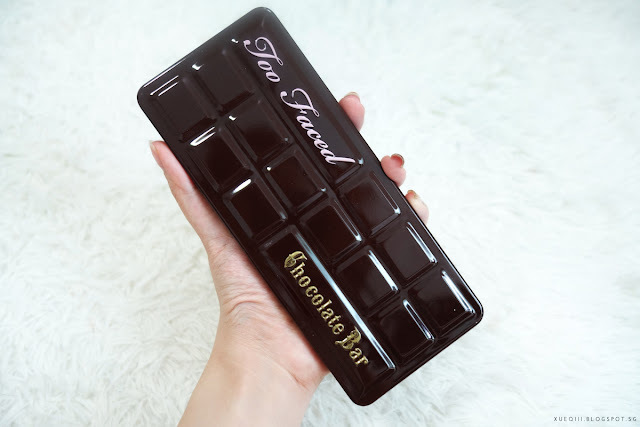 This is the newer version, with the names of each shadow printed on the packaging itself, and is also more compact than their first packaging. Plus point for being travel friendly. 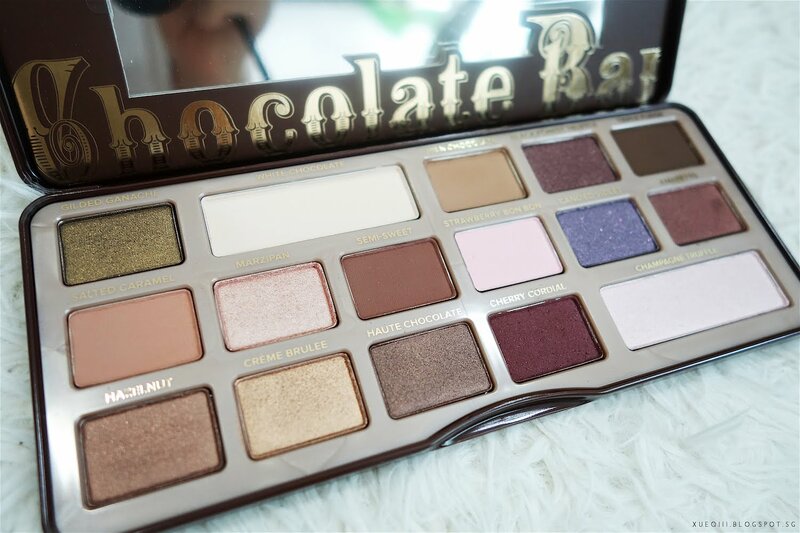 It is a metal type of material - something similar to the Naked 2 & 3 Palettes. The mirror isn't my favourite as I would prefer it to be a lot larger, filling up the entire lid area. A closer look at all the shades - the Chocolate Bar Palette has 16 matte and shimmer shades with neutral and warm browns, pinks and plumy colours. This is priced at S$69 in Sephora Singapore whereas the Naked Palettes are at S$83 but with only 12 shadows. 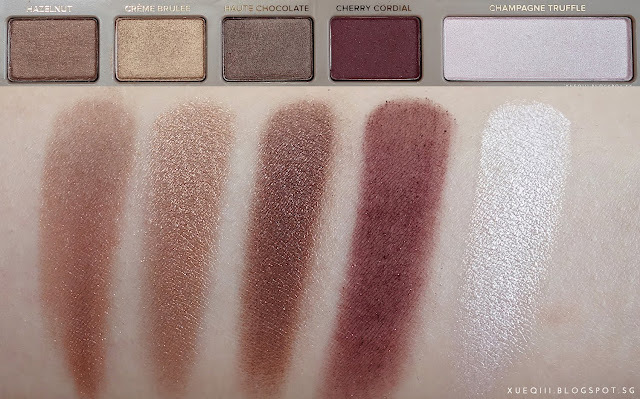 After swatching all the shades and using it for a few times, I have to say I prefer the overall quality of the Chocolate Bar Palette and the fact that it has a mixture of different shades and tones in one single palette. I will recommend this over the original Naked 1 Palette if you are a beginner at makeup and looking for a all-rounder palette. First row consists of 3 matte and 2 shimmer shades. Gilded Ganache - Deep olive with gold shimmers. White Chocolate - Matte cream colour, good for brow bone highlight. I like how they made this type of highlighting shades bigger as they are used consistently in every look. Milk Chocolate - Matte neutral brown, great as a crease shade. Black Forest Truffle - Deep plum shade with gold shimmers. This colour did not swatch well and I had to do quite a few swipes to get the swatch to show up well. Quite disappointed with this shade. Triple Fudge - Matte dark brown, can be used to smoke out the look or as a liner. Second row consists of 3 matte and 3 shimmer shades. Salted Caramel - Matte warm brown. 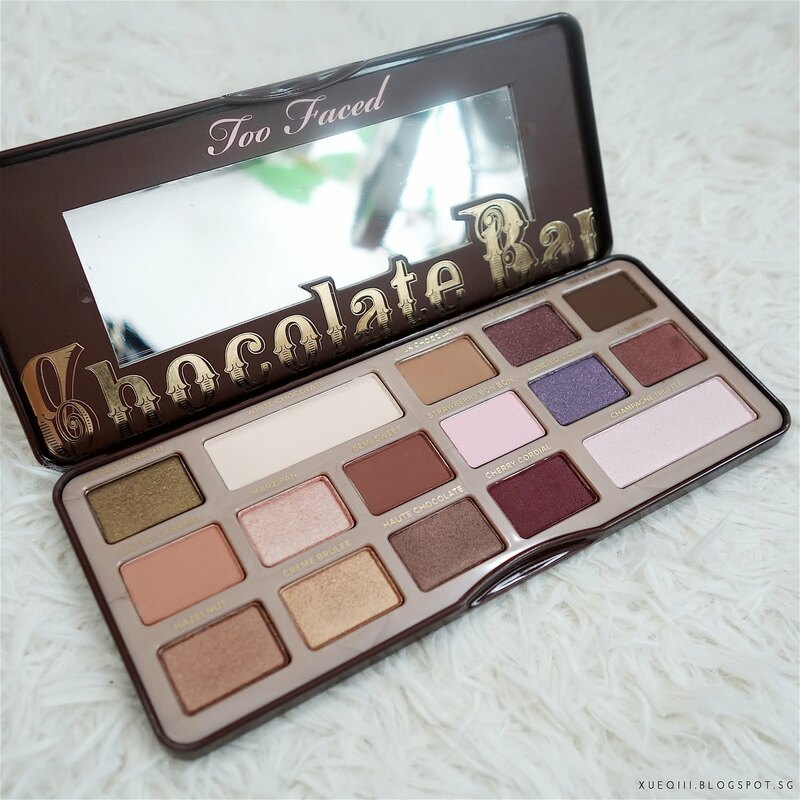 This is a touch lighter and warmer than Milk Chocolate and I love using this as a transition shade. Marzipan - Peachy-pink champagne shimmer shade. One of my favourite shades from the palette. Highly pigmented and looks gorgeous all over the lid or as a pop of highlight. Semi Sweet - Dark warm matte brown. 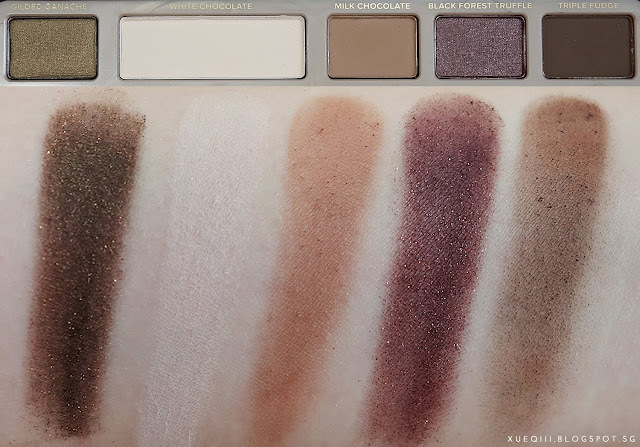 This shade reminds me of the Makeup Geek Cocoa Bear shade that everyone is crazy over. 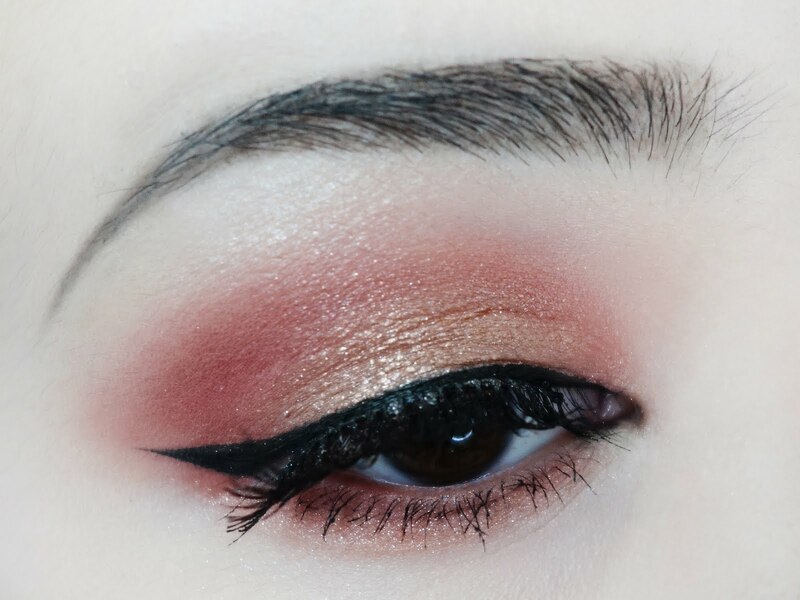 Very nice shade for deepening the crease. Strawberry Bon Bon - Pale matte light pink. 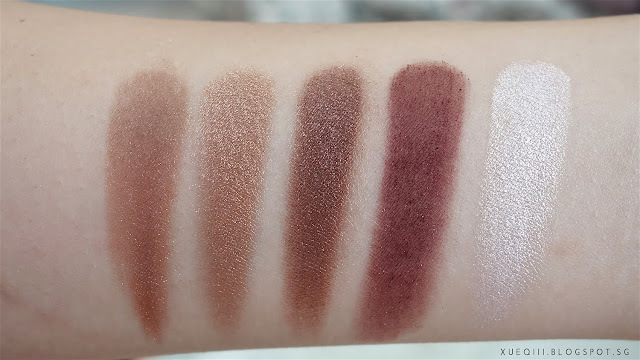 I have yet to play around with this shade but I guess will work nicely as a transition type of shade when doing a more burgundy or purple look. Candied Violet - Greyish purple shimmer. Amaretto - Dark shimmery brown with a copperish feel. A very unique shade, quite hard to describe but I super love this one. 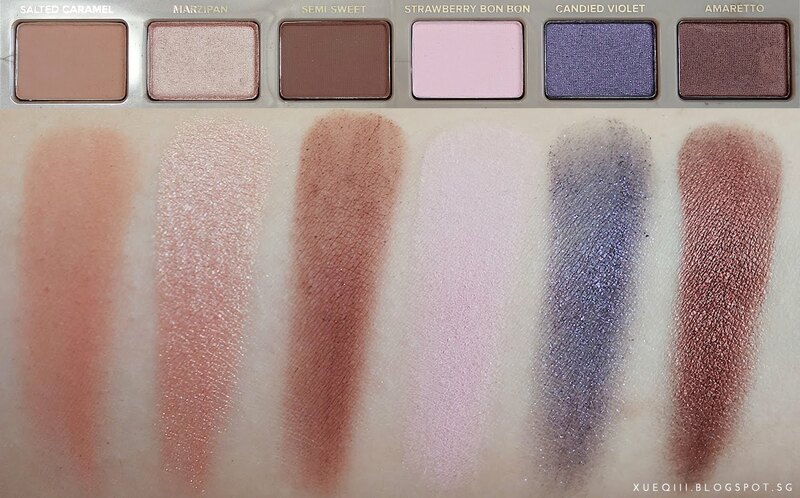 Third row consists of 5 shimmer shades. Hazelnut - Warm shimmery brown. Creme Brulee - Shimmery gold. This is another one of my favourite shade to use on the lids. Very pigmented and has a nice sheen. Haute Chocolate - Dark cooler tone shimmery brown. Cherry Cordial - Dark burgundy with a light shimmer. This is less shimmery than the other 4 shades in this row (as seen in the swatch). Really like this on the outer crease. Champagne Truffle - Pale white-pink shimmer. This is another of their highlight shade in a bigger pan. This will look great as an inner corner highlight or in the center of the lids. 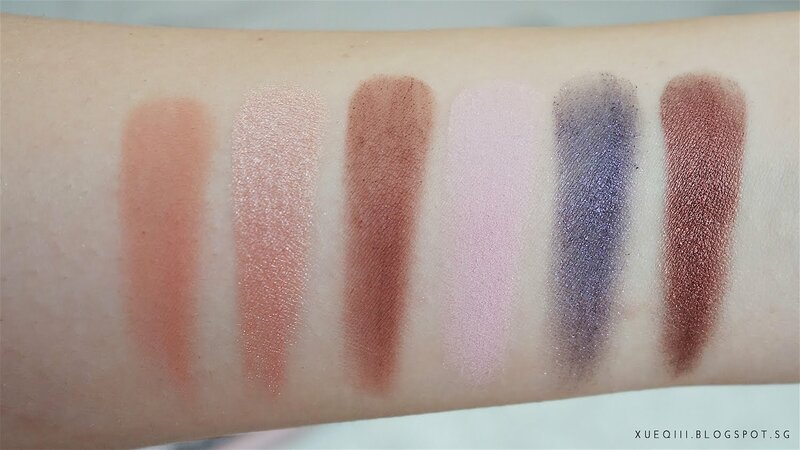 Here you can see how the shades looks like in the pan and also when swatched. All these were taken under natural sunlight.